8-)Hi! I'm Tammy, Dominick's wife. 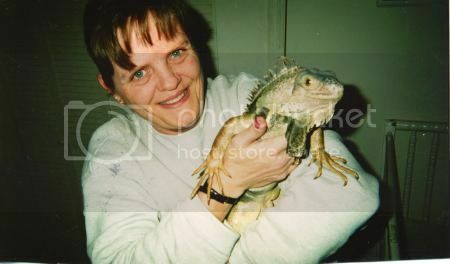 I'm the proud mama of our iguana Rex whose 4 and Rambo who is 8 months old now. We also have a Leopard Gecko (Leo), a turtle (Vern) and a Betta fish(Bluejay). I also care for my hubby, Dom and our 2 boys, Dominick and Joseph.